Diverse programs in areas from fitness to creativity. We invite you to pursue lifelong learning and personal enrichment this spring with a variety of offerings in our Fun & Fitness Program at Misericordia University. Click here for the spring 2019 brochure! Click here for open pool hours. Our summer schedule is now available at the link below. In addition to favorites like our popular Clay by Hand and Pottery Wheel, we are again offering our Therapy Dog Preparation and Digital Photography classes this summer. New to the schedule are personal/professional development workshops and a free Lunch and Learn series for senior citizens. Click here for the summer 2019 brochure! Click here for summer 19 clay registration. 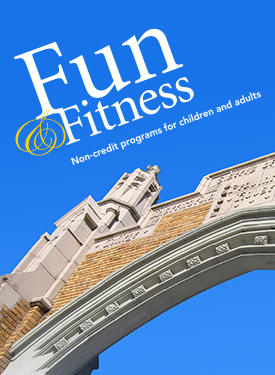 For more information on our Fun & Fitness offerings email us at funfitness@misericordia.edu or call us at 570-674-6289. Ask about gift certificates and give the gift of fun & fitness for any occasion! 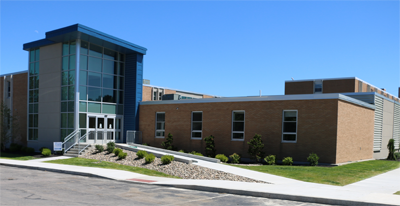 The Center for Adult & Continuing Education's office is now located in the Trocaire building on the upper campus. All Fun & Fitness program registrations are taken in this building. Access to our gym facilities includes the pool, basketball courts, racquetball courts, indoor track and weight room. Fitness Center requires ID card access, which is provided upon registration. Replacement cards are $20, payments can be made in Student Financial Services. Cost: $100.00 per semester. Discounts apply. Walking Track Only: $50.00 per semester. Discounts apply. The walking track is not open to Fitness Program Members on Saturday and Sunday, nor is it open to anyone who is waiting for those in swim or aerobics classes. Please do not walk the track on Saturday or Sunday mornings. Thank you for your cooperation. Register for classes by MAIL, FAX, or IN PERSON: General Inquiries: (570) 674-6289. Registrations are accepted: Monday - Thursday, 8:30 a.m. - 4:00 p.m and Friday - 8:30 a.m. - 3:30 p.m.
Give a gift of FUN & FITNESS! Any value amount can be purchased. Great for birthdays or that hard-to-buy for person! Call 674-6289 to inquire. Monthly calendars, including OPEN POOL HOURS, are posted online at athletics.misericordia.edu/poolhours or can be found at the Anderson Center. To inquire about lessons, please contact Matt VanDerMeid, Aquatics DIrector, at mvandermeid@misericordia.edu or (570) 674-6446. The American College of Sports Medicine strongly suggests that individuals receive medical approval from a physician before beginning an exercise program. Every participant should recognize that it is the individual's responsibility to prevent injury by being aware of their own state of health and limits of exercise. Misericordia University or Anderson Center personnel are not responsible for damages or injuries that may occur while using facilities or equipment. Refunds are not given AFTER class has occurred, for personal reason or natural weather phenomenon. Cancellations made at least 3 working days prior to the program are eligible for a monetary refund, less a $5.00 processing fee. Within 3 days of program, refunds are in credit only. Or call the Misericordia University HOTLINE, (570) 674-6311.